Wonder why EADS or other European companies never considered launching a design in this class. Its time EU cut the apron strings. Too little demand for a specialized craft like that? I do remember some drawings but it never got anywhere. Can't find a picture online. of reeducation in the US. meeting unending (and incompatible) wishes for changes. That actually looks pretty sweet! That's the one I meant, thanks for digging it up. And it looks like a pudding which has been in the sun way too long. Not for tankering helos though. IMU they want a C160 comparable platform for special forces insertion. France currently operates 14 C-130 aircraft (seven C-130H and seven C-130H-30 transporters) and has ordered an additional four aircraft (two C-130Js and two KC-130J tanker/transport). At least that is what was offered in the news here on the _joint_ project. And the above has what to do with your claim that they won't be refuelling helos? Clearly the KC-130 has been acquired to address that specific issue. Given it is a joint squadron both Germany and France have the opportunity to benefit from that capability. I did not claim they would never refuel heloes. specifically bought for just refueling != used for refueling ( 2 items of a bunch of frames ). Perhaps if you had done a little bit of research you would have realised France was also buying KC-130s before making your claim. I'll give you a tip, if you don't need to AAR you don't buy a KC-130. Sure and I agree that most of the order will go that way and that is the primary intent of the purchase but AAR of rotary wing aircraft was also a major consideration for the French acquisition. The two variants will complement France’s C-160R Transall and Lockheed C-130H Hercules aircraft, and are being rapidly acquired to support aerial refuelling of its rotorcraft fleet, a mission unable to be performed by its new Airbus Defence & Space A400M. Perhaps we will see a KC-130 purchase from the Germans similar to the French to overcome the A-400M rotary refuelling issues? Seems like Airbus got "hosed" as 5-6 months after the "Don't worry we are fixing the A400" article was published, the C-130J order went forward with 50% of the order focused on filling the tanker mission. The entire C-130 French-German squadron is a huge embarrassment and black eye for Airbus and credibility in the Defense market. Any updates on the German CH-53 vs CH-47 competition? 1. Why do they need to cut the apron strings? Are you bringing politics into the? 2. This is a niche class. There are only two players that can justify development: The US and Russia. China may join that list at some point. Organic European requirements are too small -- they'd have to be able to sell to the US or Russia to justify. Why? The problem is that there is no EU army, so all requirements are mixed. But there must be a pool of at least 200 craft in the EU for this size. If that is enough, I don't know, but Russia doesn't need more than that I guess. I count around 240 CH-47s or CH-53s currently in service or on order with EU air forces, but that includes Brexitania. It doesn't take into account future potential operators such as Poland and France, and all the export orders that will likely follow. With Airbus Helicopters history, it would only be a matter of time before you would see US Army versions rolling out of the Airbus factory in Columbus, Mississippi. So that is a potential order for 300 a/c. So why didn't Airbus go for it? Now it is too late. I would think a huge part of the problem would be developing an appropriate engine for a heavy lift helicopter. I don't see anything they can use. The US operates 3 engines you can use in the right power band for the V-22, CH-53 and CH-47 respectively. The Merlin uses a three pack of motors that are more in the medium helicopter class to be bigger. The CH-47 uses two engines and lifts substantially more. The CH-53 uses three and lifts a lot more. Europe could either develop an engine, which is expensive, go to a 4 pack design which would be complicated or try to buy off the US. Maybe the US would sell maybe they won't. The only other alternative I see would be to rework the A400m engines to do the job but they have issues already and may or may not be designed as helicopter engines. Who knows how much rework that might take. So that is my guess. They don't want to foot the bill for an airframe and an engine. The US has pretty much constantly been dumping money into helicopter engines for decades. Among the three references you have two relatively new engines and a derivative of a decades old engine. Perhaps you are right, I don't know much about engines I must confess. But why wouldn't the PW or GE or someone else sell an engine? A sell is a sell. The Saab Gripen uses an American engine after all. Or RR could just develop an engine for it, or someone else. The problem with the A400M's Europrop TP400-D6 engines is political, they wanted too many companies involved. Airbus wanted the Pratt & Whitney PW180. Hopefully, they have learned their lesson, ah well we can dream right. The US government owns the engines because they paid for the R&D so they will sell what they think benefits them. They sold an engine for Gripen because the plane itself isn't a threat to US planes on the export market for the most part and the engine they sold wasn't cutting edge when it was sold. In the case of a proposed heavy lift helicopter selling the engine would enable the program. Not selling it likely ensures they have to buy from you which deives down your acquisition and ongoing cost by driving up fleet size. Like I said they might or might not. But GE or Pratt don't get to make that call. Even RR who makes the Osprey engine can't turn around and sell it without permission or reuse the tech from it on a derivative. I am not sure what would happen here but I suspect the answer never got to this point. The R&D for the CH-53k was around $7 billion and that was with an engine that was derived from the losing V-22 proposal and an existing airframe (heavily modified). So we can figure your cost are at minimum probably that to build something in this category. I don't think it realistically fits into the budgets of any one European power to do it. Most are already sunk into CH-47 anyway so you may not get a broad signup for it. My guess is unit cost would quickly be established as unreasonable, presuming anyone bothered to make a guess at it. It's been stated that the hose will likely be stiffer and have a narrower diameter to fit in the pod. "Morrell says the company will be testing a stiffer hose design than used previously, and that this will also have to be narrower in diameter, in order to fit within the same Cobham pod design. This will result in a slower fuel flow, although Airbus has yet to determine its exact effect on overall refuelling time." That was mentioned over a year ago though. A different solution might have been found since then. The R&D for the CH-53k was around $7 billion and that was with an engine that was derived from the losing V-22 proposal and an existing airframe (heavily modified). So we can figure your cost are at minimum probably that to build something in this category. Yeah pretty much. That's why I said the cost for that is about the minimum. A few things and lessons learned from a very heavy three engine helicopter can be brought over. The engines had already been developed to a degree. I would say if you didn't have the engines on hand you would be looking at 9-10 billion probably. But yes the whole idea it's a modification is a lie. 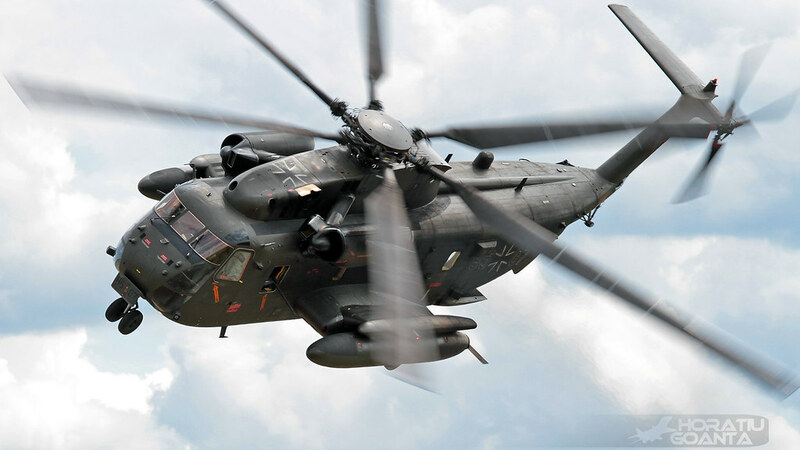 This addition to Boeings list of German suppliers has likely happened in attempt to position the CH-47 for the tender to replace the Luftwaffe's old CH-53. The process has no received approval to begin with the RFI to be issued mid next year. Germany’s military has approved plans to buy 45 to 60 new heavy-lift helicopters, kicking off a competition between the two largest U.S. weapons makers for the contract worth nearly 4 billion euros ($4.72 billion), a military source said on Friday. Lockheed Martin Corp will bid with its massive CH-53K helicopter, while Boeing Co will seek to sell its smaller twin-rotor CH-47. General Volker Wieker, chief of staff of the German Bundeswehr, signed the document that begins the contract bidding process on Thursday, the source told Reuters. “No decision has been made on a preferred model,” the source added. The defence ministry expects to issue a request for information in the second half of 2018 after completing a fleet capability study, with a contract award seen in mid-2020. Initial deliveries would begin in 2023, replacing Germany’s existing fleet of CH-53G aircraft, the source said. Wieker’s decision calls for a combined contract to include both manufacturing and maintenance, defying a call by Airbus and other German firms that the ministry split the contract into two segments. The terms of the procurement would require that maintenance was supported in Germany but would not stipulate an award to a German company, the source said. My best guess would be for 50-60 Chinooks. Many airforces in Europe use it, it still offers excellent performance and can be moved around by A400M's. Low risk. If Airbus Helicopter or Westland-Agusta wanted to have a go, they should have done something smart & realistic 5 years ago. According to Reuters Lockheed is teaming up with Rheinmetall for the contract. Formal announcement will be made by tomorrow. Wise move to have a local partner. Lets wait and see if Boeing is looking for a local partner as well. Lets wait and see if Boeing is looking for a local partner as well. Boeing already announced the first partner back in November. Philipp something aerospace. The CH-53K has arrived in Germany ready for the ILA Berlin Air Show, clearly they are looking to create some media attention around the aircraft and advertise it to the German Military. My money is still on the CH-47 being selected but the capability of the CH-53K is certainly impressive. 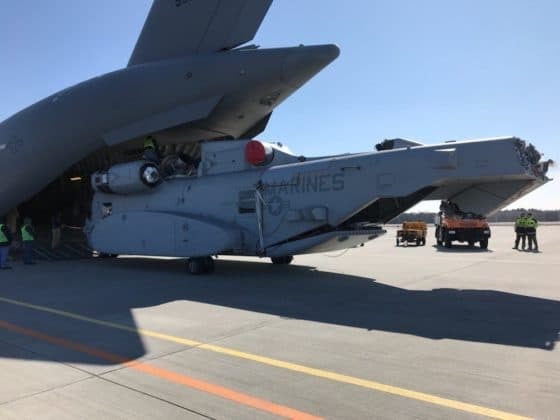 A CH-53K heavy lift helicopter built by Sikorsky, a Lockheed Martin company (NYSE: LMT), arrived in Holzdorf, Germany, ahead of its international debut at the ILA Berlin Air Show next month. A Sikorsky CH-53K heavy lift helicopter was unloaded from the cargo bay of a C-17 Globemaster, which touched down in Holzdorf, Germany, ahead of its international debut at the ILA Berlin Air Show next month. Photo courtesy Sikorsky, a Lockheed Martin company. "We are excited for the opportunity to showcase the capabilities of this all new CH-53K heavy lift helicopter to an international audience. This is the only true heavy lift helicopter in production," said Sikorsky President Dan Schultz. Sikorsky demonstrated the King Stallion's strategic airlift capability during an exercise at the Sikorsky Development Flight Center in West Palm Beach, Florida, prior to the departure for Germany. Because the CH-47 orders stretch out over decades and many of the older Chinooks can be refurbished to F standard for a cost that a new development could never match. It seems like the 50-60 yr old Chinooks are still a kind of unbeatable. Their unique configuration ensure a large deck, excellent cg margins and very good performance. I guess Boeing might go for a chinook NG at some point using a similar configuration. The biggest thing in helicopters is really the overall power and efficiency of the engines. I feel like the programs in place to deliver new engines will drive the performance of the legacy platforms line the CH-47, UH-60 and AH-64 far enough forward that you will struggle to beat them without going to a more radical configuration. Hence what is being put out there for FVL. But I won’t be shocked if they look at it and say that what the legacy platforms bring with the newest engines in 10 years is enough for the vast majority of task helicopters do and FVL is drastically curtailed. The competition has been delayed with no time frame indicated for resumption. Germany has postponed the start of an acquisition of new heavy-lift helicopters for its air force, throwing the timeline for retiring the service's ageing Sikorsky CH-53G fleet into doubt. Berlin had been expected to launch the procurement this year, choosing between the new CH-53K and Boeing's CH-47 Chinook. However, both potential bidders were notified in late September that the process had been put on hold. In a letter to the two manufacturers, Germany's BAAINBw federal procurement body says the acquisition is "postponed until further notice". A formal request for proposals had been expected by the end of September, but the relevant budget has yet to be authorised by the German parliament, preventing the process from advancing. Maybe Merkel / Macron feel Europe better creates a local heavy weight helicopter iso investing in 50 yr old foreigh designs after all ? What would Trump do ? I guess Merlins are the biggest Euro helicopters in production at this stage. The Frelons are also over 50 yrs old design. Could Airbus helicopter develop a new big fast 15t VTOL platform in 10 yrs? Leonardo might join on this one. I'd rather expect this to be due to budget issues. 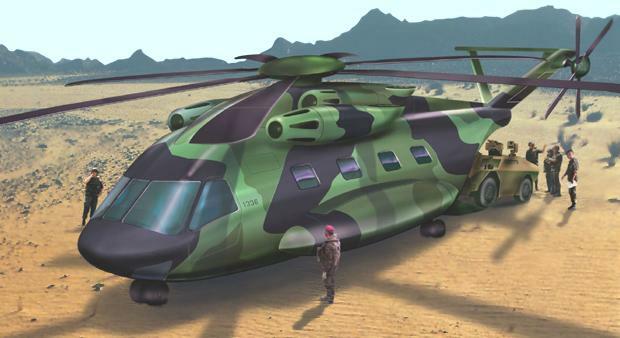 It is unreasonable to insist on a hypothetical future european helicopter when perfectly fine products already exist. There is no risk to lose any fundamental knowledge. The chinook will be built well into the 2020s and be operated for another few decades after that. No need to decide today. It's a short term budgeting issue. The German government is struggling on that front. Certainly, given the near term fiscal concerns and the fairly imperative need to start retiring the G model super stallions in 2025, it's highly improbable to say the least that they are going to decide to fund an all new Euro heavy lift chopper in the next few years for EIS in 2023-2025. The newest CH-53G frames were delivered just before the Carter administration, in 1975. They've already done as much as they can on service life extensions. I don't know what the German readiness rate is with theirs, but the USMC is only able to keep about 37 percent of their E models airworthy at any given time, as of 2017, which is pretty astoundingly bad, I'd say. It's a short term budgeting issue. The German government is struggling on that front. It's interesting then that they fast-tracked the purchase of the six C130Js and prioritized this over starting a buy of heavy lift helos, given they have the all singing and all dancing A400Ms inbound. Think of how much more useful hardware they could be buying if they weren't subsidizing Airbus to make A400Ms at a loss. I'd rather expect this to be due to budget issues. Germany could currently pay development, entry into service and acquisition of a heavy lift helicopter from the budget surplus of the first 6 month of this year alone, which was 55 Billion USD. This time money isn't the problem. Depends in work share. Paying twice as much can be cheaper than buying if domestic content/labour goes from 0 to 100%. The problem is that the current administration makes the US a much less reliable supplier than they used to, that factors in. About as reliable as the current German ruling coalition, says I. It's not a lack of money overall, it's the allocation. Especially when you have a government that's only held together by a budget surplus and the fear of new elections. Not everything is about Trump. I mean, they just spent billions to buy a400m and then this week signed for some Hercules from the states. I think some of the rank political speculation growing here is silly. Trump didn’t veto the Boeing aw139 either as too European. Merkel / Macron don't even have 1% of the "balls" Trump has. After the A400m disaster I think most European countries will buy off the shelf instead. Germany just ordered C-130J's due to the A400m not reaching design specification. Every country that purchased the A400M would regret not buying a mixed fleet of C-17's and C-130J's instead. Vastly more capable, vastly more fexible, better value for money. A quad tilt rotor using Rolls Royce V-22 engines would be amazing. It would outperform the Chinook in a big way and it would have big export potential. "He has a rather low instinctive drive. He actually thinks before he jumps into anything." Maybe there is space for a new fast big VTOL. The problem is the Chinook IMO seems the best compromise between capability and costs. Sketches of other concepts and platforms like Osprey immidiately seem high costs, high risk and hardly suitable for mass production..
Btw IMO the A400M is an excellent platform, just what Europe needs. Getting smaller, cheaper platforms next to it totally make sense. Moving 12 people and 2 pallets over 600km with a A400M or C17 makes no sense. The C17 and C130J both saw enormous costs overruns and delays too. The orogram were nearly terminated. The A400 had a dozen changing local opposition party's during the global financial crisis throwing oil on the unpopular weapon industry, while in the US congress tends to be more forgiving / supportive. Merkel and Macron seem to have taken some strategic decisions on defense, I would not be surprized if this change has to with it. Trump voiced some clear direction on what he puts first. Even on a NATO summit recently. That is his good right as elected president. And these are some results. Airbus probably is gratefull. Who are you kidding, Keesje? The CH-53K is a 100% new airframe. It just happens to kinda sorta look like a CH-53G. It doesn't take very much of a glance to tell that they're different. I think that DOD kept the CH-53 series going so they could sole source it. Yes it is a very improved version, I would guess less than 20% common parts. It is a simple financial budget problem. There is no secure budget for the helicopters agreed on by the parliament at the moment, so they can not start the tender process. I think this goes above's this years budget. Merkel & Macron agreed a few months ago to work together on a stealth fighter, the next version Tiger gunships, air-to-ground missiles, tanks and artillery, and a 2019 medium drone (including Italy and Spain). A new big helicopter could fit in as well. Trump has taken a strong position on what he feels Germany should and shouldn't do. Merkel smiles & looks after Germany's priorities. It's got little to do with priorities. First of all, the helo program is a much larger project that requires the allocation of long term funding before the Bundeswehr is even allowed to select a type. The long term budget plans got delayed as there was no working government for too long, and one of the coalition partners isn't keen on a huge increase of military spending. On the other hand, since some other programs like the A400M and the new frigates got delayed as well, and consequently didn't have to be paid for, there is some money left in the short-term budget, which is just enough to buy a few C-130Js that supplement the A400Ms (which actually are quite useful, in spite of your constant bashing). Of course the priority of the C-130J is enhanced by the fact that it's a common German-French project, where France has already done the first steps. Maintaining so few machines of a type would be inefficient for one nation alone, and if Germany would step out, it would be harmful for the international relationships. The Heer has the CH53 since 1972 and scheduled for another decade.. I'm trying to get support for a dedicated helicopter platform on airliners.net. If we concentrate Helicopter / VTOL topics we can have more in dept discussions and attract more knowledgeable participants. Helicopters / VTOL is IMO an exciting, dynamic and broad segment of aviation that deserves this, more than e.g. a new "political forum" (?!) that's now being considered as we speak. Topics like this could be discussed and concentrated here.